Send a Letter of Support! 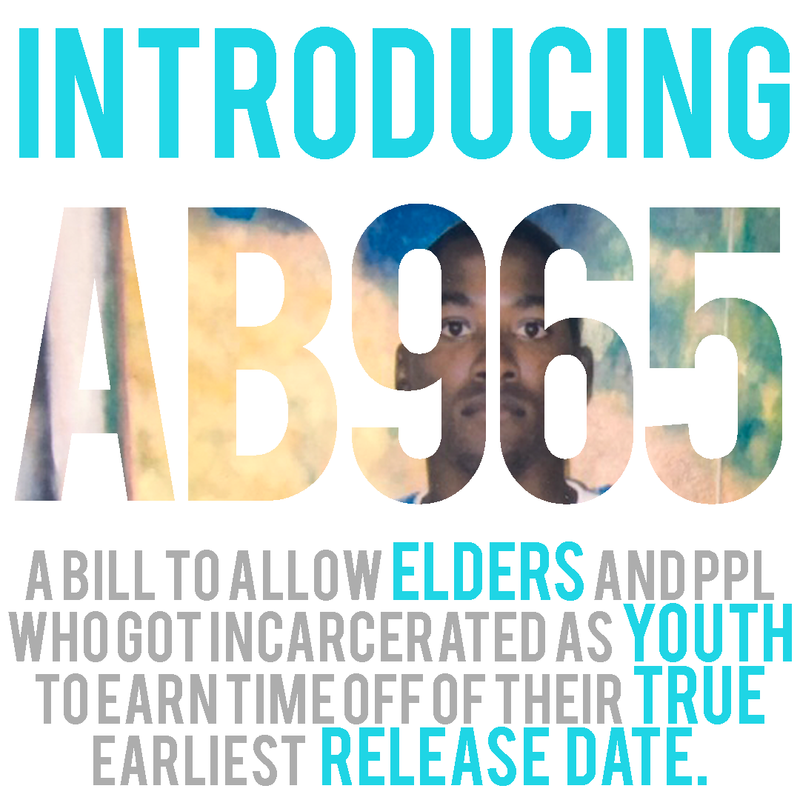 AB 965 would allow people to earn credits from their Youth Offender Parole Date or Elderly Parole Date, if that date is sooner than their original parole eligibility date. Under Proposition 57, credit-earning opportunities were created for people positively participating in educational and vocational programs, participating in leisure time activity groups, and for Good Time. These credit earning opportunities have allowed many people the opportunity to advance their release date, but these credits are not applied to the earliest possible parole hearing dates for people eligible for Youth Offender Parole or Elderly Parole. We believe that both groups should have opportunities to move their parole dates forward based on participation in programming and achievements made inside. AB 965 was introduced by Assemblymember Mark Stone (D-Monterey Bay), and sponsored by Initiate Justice, Anti-Recidivism Coalition, Californians for a Responsible Budget, and National Center for Youth Law. To learn more, read our Community Fact Sheet, and please urge organizations you are a member of to use this Letter of Support template to support this crucial reform. Visit the California Legislative Information page for AB 965 to follow this bill.